Ports of Cause is a 501(C)(3) non-profit driven to promote, inspire, and accelerate sustainable, forward-thinking solutions and practices that reduce the impact luxury living and every day lifestyles have on our oceans, while strengthening the inextricable link between ocean health and the well-being of all life. Our goal is to get to the root of Ocean Wellness which is a PREVENTATIVE approach. We can keep cleaning up our oceans, which we need to do, but we must also seek out, develop and promote solutions and behaviors that preserve our oceans. Our lives depend upon it for food, medicine, health, oxygen, preservation and much more. The yachting industry has amazing resources, brain power and influence. By coming together as a unified industry - as leaders in the sustainable revolution and Blue Economy - we can make a difference and care for the one thing that cares for us...our oceans. Historically, the seahorse has been an attribute of the sea god Neptune/Poseidon and as such, is considered a symbol of strength and power. Its symbolic meaning reflects Patience, Protection, Perspective, Persistence, High-Perception, Consciousness and Generosity. 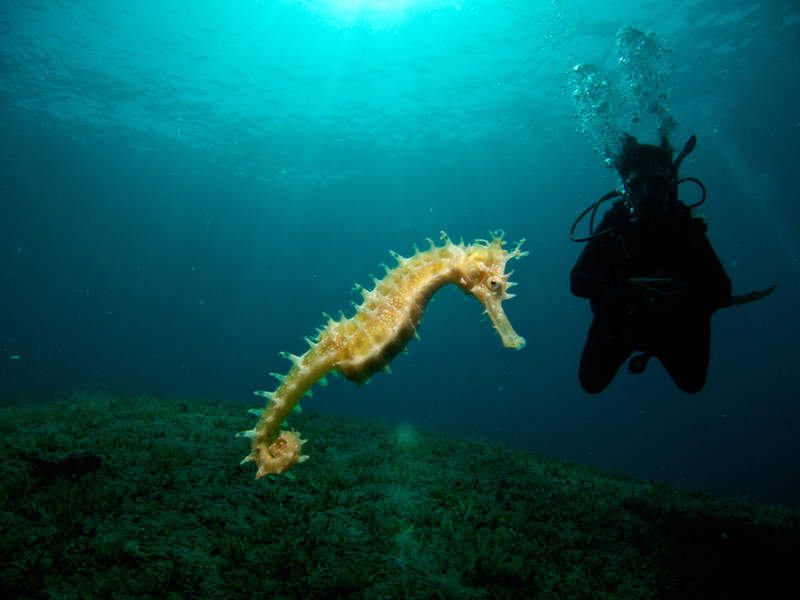 An amazing testimony to these attributes is the fact that the seahorse's body style has not changed since their inception…they are true to their self, sustaining themselves throughout time. The seahorse is also a symbol of inflexibilty or stubborness. To wit, the seahorse wraps its tail around the nearest object in order to anchor itself in turbulent waters. This is a lesson to be persistent in our goals, but mindful that we are not too inflexible or stubborn in our achieving them. We are deeply appreciative of all our sponsors and volunteers over the years. "Thank you" will never reflect that sentiment aptly.